Lovely card, Stephanie, as is the story behind it. I am sure it will be cherished. 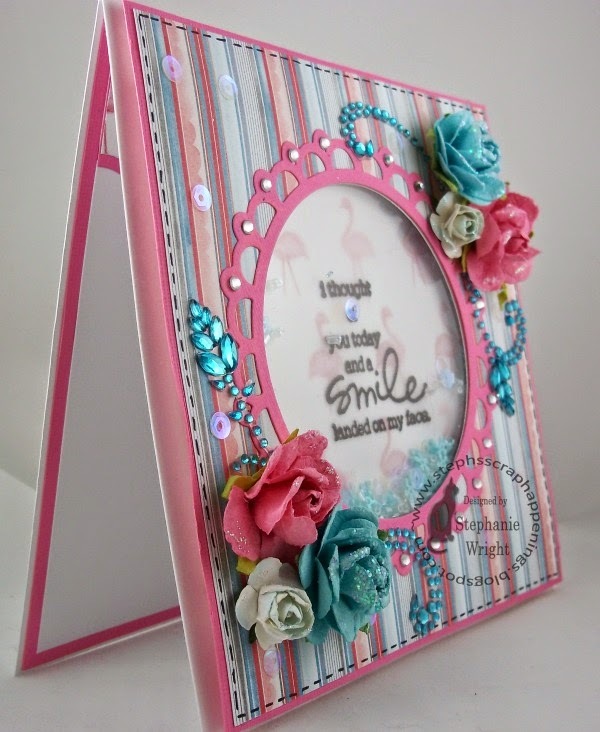 Thanks for sharing with us at Top Tip Tuesday Challenge! Great post! I love the colors of this card, it is sooooo pretty! Wow Stephanie. You have captured the essence of our theme at POP so beautifully. From the definition of uniqueness to the special young lady you made this fabulously girly shaker card for. Thank you for taking part in our uniqueness challenge this month, we are honoured having you playing with us. Stephanie, your card is beautiful, and so is your definition of uniqueness. If everyone felt the way you did, wouldn't the world be a much better, happier place! Thank you for playing in the Path of Positivity challenge this month (and for the anti-static use when making shakers). 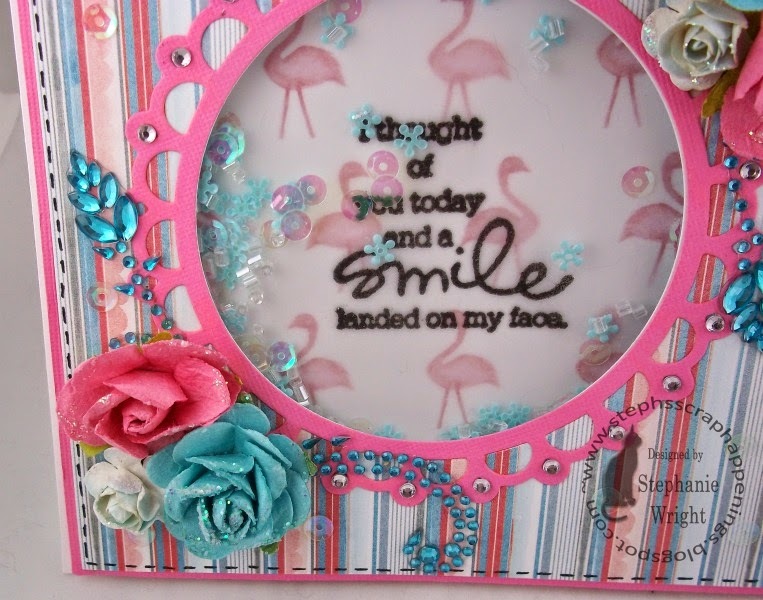 Thanks for sharing and for joining the Shopping Our Stash crew for our "Not Your Normal Paper" challenge!! What a gorgeous card and a wonderful post! Thanks for joining us this week at Shopping Our Stash! I am sure that the receiver of this card will be delighted with it, both because of its beauty but also because of the message behind it. Great shaker design. Thanks for sharing this story. 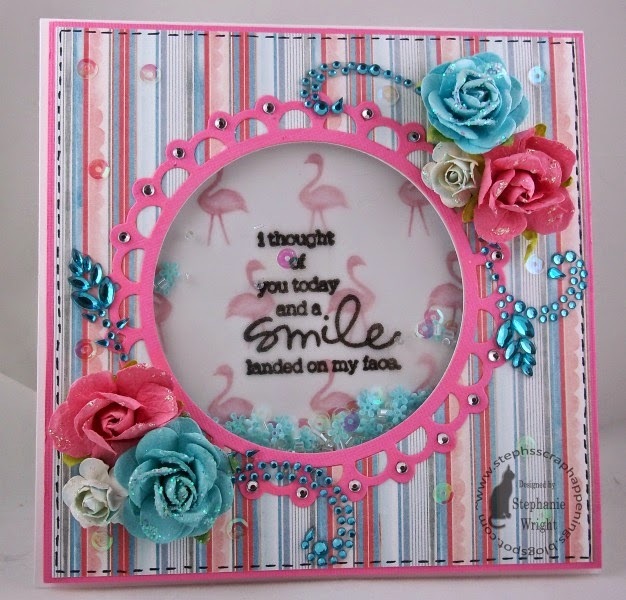 Thanks so much for joining our Anything Goes Challenge at Craft Your Passion. I hope we see you again soon. This is a beautiful post, Stephanie. I could not help but hit the follow button! With my DT hat on - What a sweet project! Seriously. You lovely, soft colours and the sparkly details are magical. Thanks for “Embossing” along with us over at Tuesday Throwdown. You have been a Shining Star of Hope in my world, Thank you Mom! I love you very much! Back with my DT hat on. 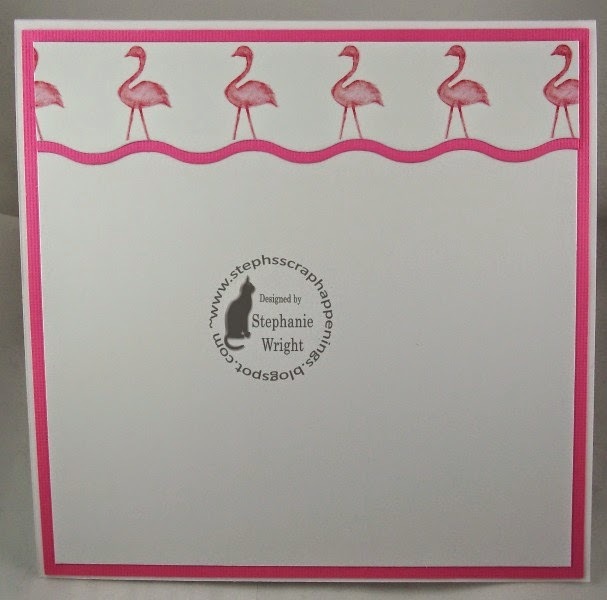 Stephanie this is just so pretty and gorgeous and I love the flamingo theme and the gorgeous shaker box. This is so perfect for our UNIQUENESS theme this month. Thanks for sharing your talent with us and good luck.